Her grandfather founded Amherst College. Her father was a multi-term state legislator and US Congressman. 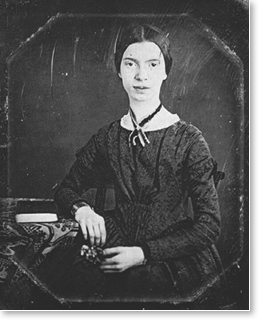 But Emily Dickinson lived a rather less worldly life. Born in Amherst, Massachusetts, she traveled outside her home village only a few times, outside of Massachusetts but once. After the age of 42, she rarely left her house and yard. She never married. She deliberately chose a life of Thoreau-like simplicity — her vocation was poetry. Of the 1,775 poems she wrote, fewer than a dozen were published during her lifetime, all anonymously and usually reworked by editors to conform to contemporary standards. Only in 1955 was a complete and unmodified collection of her poems published. 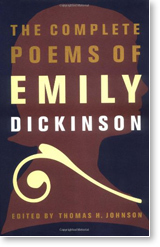 Dickinson forged a brilliantly original style, full of power, and is acclaimed today as one of America’s greatest poets.
. . . . . . . . .
As in all her work, Dickinson’s language here is highly compact, telegraphic. But her meaning seems clear. She is describing what she regards as her most exalted inner experiences, “the soul’s superior instants.” These occur when the soul is alone and all ordinary experience is “infinite withdrawn.” She feels her soul has “ascended” to “too remote a Height” for lower sense perceptions to reach. The soul can experience only its abstract yet omnipotent self. In this state, she says, the soul opens to “Eternity,” to “the Colossal substance / Of Immortality.” This experience, she tells us, is given to only a fortunate few. 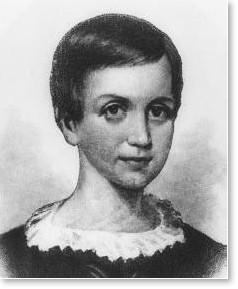 Emily Dickinson at about age 10. From the Dickinson Room at Houghton Library, Harvard University. Readers who practice the Transcendental Meditation technique will likely feel an affinity with this poem, for they will see it describing an experience they have during their meditation practice — a natural experience in which the mind “dives within.” Like the waves on an ocean settling down, mental activity becomes increasingly still. There may be moments when one transcends the thinking process altogether. Then one experiences consciousness in its pure state — unbounded and eternal. Dickinson evokes the unbounded and timeless nature of this experience when she associates it with eternity and immortality. Scientific research studies have determined that this state represents a fourth major state of consciousness, distinct from waking, dreaming, and sleeping. In this state the mind is fully awake and alert, yet deeply settled; the body is also deeply settled, and one experiences a state of deep rest. Brain functioning shifts from a more or less random style of functioning to a highly integrated state, suggesting that all parts of the brain are functioning in concert and the brain is accessing its full potential. Maharishi calls this fourth state of consciousness Transcendental Consciousness. We find experiences of this state in the writings of great men and women throughout time and around the world. It is a universal experience, and highly prized — but, as Dickinson intimates, normally exceedingly rare and fleeting. Maharishi’s gift is a technique for transcending, the Transcendental Meditation technique, so that this extraordinary yet natural experience need not be left to chance — it can be available at will (twenty minutes twice each day). 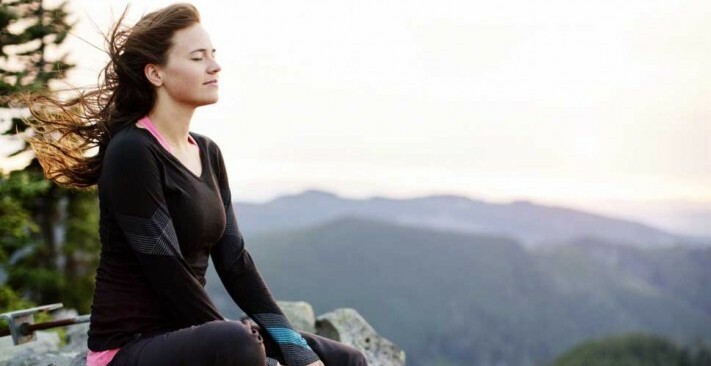 The benefits are also extraordinary — ranging from increased creativity and intelligence to improved learning ability, from reduced stress and anxiety to improved health and increased longevity, from improved relationships to increased productivity — even increased peace and harmony in society as a whole. There are many forms of solitude, Dickinson observes in the first three lines. But these are all “society” next to the far more profound solitude one gains when the soul is “admitted to itself” — when consciousness turns within to become aware of itself alone. This is a state of “finite infinity” — the experience of unboundedness within the boundaries of individual existence. 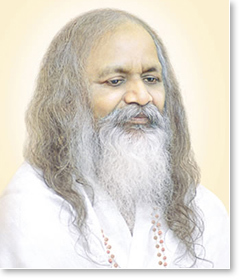 With the technique for transcending Maharishi has given to us, coupled with the thorough understanding of the nature of this experience he has provided, we can look back on the literature of the past with a new light. We find people like Emily Dickinson telling us about “The Soul’s Superior instants,” the experience of “a soul admitted to itself” — the direct experience that deep within each of us is a field that is transcendental, infinite, eternal. This is what Maharishi calls the Self. It is your Self, my Self, the Self of everyone, the Self of the universe — and now this exalted experience, venerated through the ages, is available to everyone. Emily Dickinson, Untitled poem, “306,” The Complete Poems of Emily Dickinson, ed. Thomas H. Johnson, first edition (Boston: Little, Brown, copyrights 1890 to 1960), 144. Dickinson, Untitled poem, “1695,” The Complete Poems of Emily Dickinson, 691.